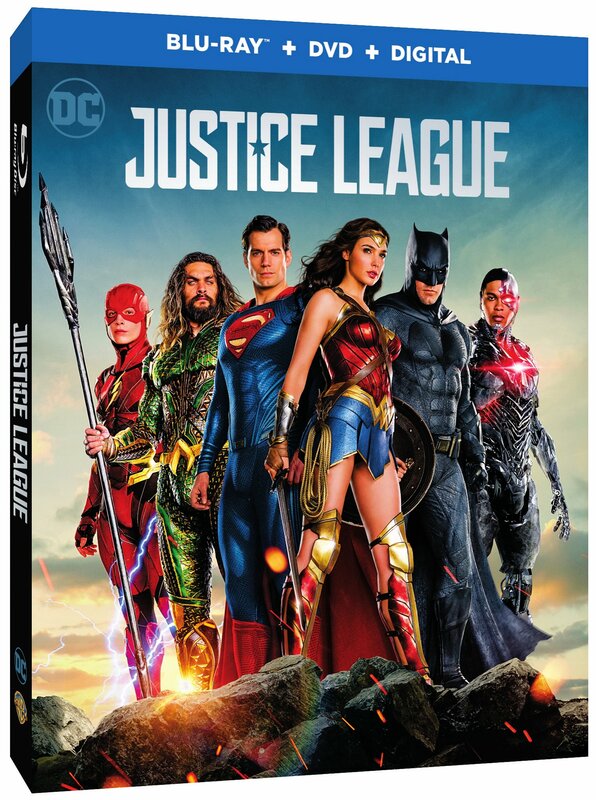 While the film itself gained mixed reviews, there's been much said about the home video release of "Justice League", with fans bemoaning the fact that the Blu-ray/DVD release contains very little of the scenes we know exist somewhere. Whether a "Snyder Cut" exists or not, the fact remains that the trailers we were shown for "Justice League" did contain footage that was not included in the theatrical cut of the film. Whether you purchase the 4k Ultra HD Blu-ray, Blu-ray 3D Combo Pack or the standard Blu-ray Combo Pack, the special features and bonus material included only contain two short deleted scenes, both featuring Superman. The "Bonus scenes not seen in theaters" depict Superman, recently returned, walking through the Kryptonian ship in Metropolis, where he retrieves his Superman costume and exits, cape billowing in the wind, in a scene which mirrors the first time he donned the costume in "Man of Steel". The other bonus scene is the first meeting of Superman and Alfred, in which Alfred says, "He said you'd come. Now let's hope you're not too late". This much debated scene from the trailer reveals that it was indeed Superman Alfred was talking to, and not Aquaman, Green Lantern, Supergirl or anybody else. There are no other deleted scenes included in the Special Features. However what we do get are a number of well produced featurettes. "Road to Justice" explores the history behind the DC superheroes teaming up with one another, through the comic books, animation, TV and elsewhere. It's a fascinating look back at how these stories have evolved and become part of our lives. "Heart of Justice" looks closer at Superman, Batman and Wonder Woman, and explores what each character of the "Trinity" brings to the team. Through expert opinions we learn how these three icons of superhero comic books compliment one another and what each brings to the dynamic. The "Technology of the Justice League" featurette didn't interest me so much, as it mainly goes through Batman's gadgets. If you're into the tech stuff then it may be something you'll enjoy, but I found myself skipping through it. I was also not too interested in the "Justice League: The New Heroes" featurette, which explores the characters of Aquaman, the Flash and Cyborg. Similar in tone is the "Steppenwolf the Conqueror" short featurette, which gives a comic book history on the villain of the movie. Besides the deleted scenes, probably the most interesting featurette in the collection is the "Scene Studies," especially the one focusing on the Heroes Park fight scene between Superman and the other heroes. Getting a behind-the-scenes look at how these sequences are filmed, the painstaking planning, attention to detail, technical and practical aspects of how they're done... This is what interests me personally. I love seeing the steps it takes to make an idea a reality in the filmmaking process. Warner Bros. gave us an early online look at the "Suit Up: The Look of the League" featurette, which examines the artistry that goes into creating the costumes. It's a fascinating look at what needs to be done to bring these characters to the big screen in a visual style that will appeal to comic book fans. All in all, if you weren't a fan of this movie when you saw it in the theatre, then you'll probably skip purchasing it on Blu-ray or DVD. If however you did enjoy the film, then the bonus material included will please you and keep you entertained for an hour or so beyond the two hour film itself. Could there have been more? Definitely! But the quality of what is included is up to the usual standard you'd expect from Warner Bros. Home Video releases. They don't disappoint in quality, but probably lack a little in quantity. Probably more than "a little" if you were hoping for an "extended" cut. For this reason, I'd give the bonus material a 6 out of 10. You can read my review of the "Justice League" film itself elsewhere on our website. Purchase the "Justice League" movie as a 4K Ultra HD Blu-ray Combo Pack, Blu-ray 3D Combo Pack, Blu-ray Combo Pack or Digital Download now.